While we await what will happen with the viral next week, Marvel Studios has released a new Ant-Man trailer which mentions both The Avengers and Iron Man. Check it out below! Also starring Corey Stoll, Bobby Cannavale, Michael Peña, Tip “T.I.” Harris, Wood Harris, Judy Greer and David Dastmalchian, Ant-Man features a script by Edgar Wright, Joe Cornish, Paul Rudd and Adam McKay and is directed by Peyton Reed. 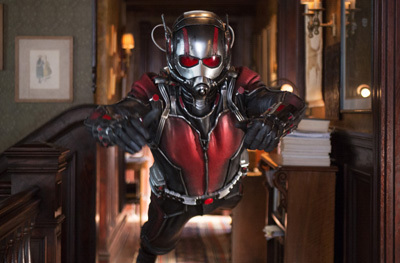 Ant-Man opens in theaters on July 17.